If you know anything about guns, that knowledge has likely ruined the best books you’ve read. It’s hard to think of an author who gets it right. Even my favorite authors make glaring mistakes when it comes to factual information about guns. No matter how gripping a story is when I read about a safety on a Glock (a gun well-known for being manufactured without any external safeties), all the credibility the author has built up in the narrative is immediately lost. In a good book, factual errors like that are heart wrenching. So I thought I’d post a blog series about how to write realistically about guns. In this first installment of the series, I’ll cover one of the most common errors writers make. DON’T USE THE WORD CLIP! Simply put, a clip feeds magazines. A magazine feeds the weapon. If we’d like to add more detail, we could say that a clip makes it easier to charge a magazine. Moreover, some magazines require a clip to function. One of the differences between a clip and a magazine is that a magazine functions with a spring. It uses that spring to help feed cartridges into a weapon. The image to the right shows two disassembled magazines. There are variety of magazine types: box, drum, tubular, rotary, etc. Most of the magazines being written about these days are detachable, but some magazines are fixed: such as most tubular magazines. A tubular magazine is commonly used with pump and lever action guns. Unless you’re writing about a vintage weapon (think M1 Garand, the United States Armed Forces service rifle during WWII), the weapon you’re writing about probably doesn’t use a clip. It probably uses a detachable magazine. Where did the term “clip” come from? The word clip is widely misused. Some speculate that this error in language was introduced by veterans after World War II. The M1 Garand uses an en bloc clip to charge its fixed magazine. The speculation is that troops familiar with the Garand adopted the term clip after the war when referring to the magazines in their civilian guns. If you’d like to learn more about how to write realistically about guns, you can find other installments of this series on my blog. I just had a wonderful interview at It Matters Radio. You can listen to it at the link below. Ken is a gifted host. I really enjoyed myself on the show. 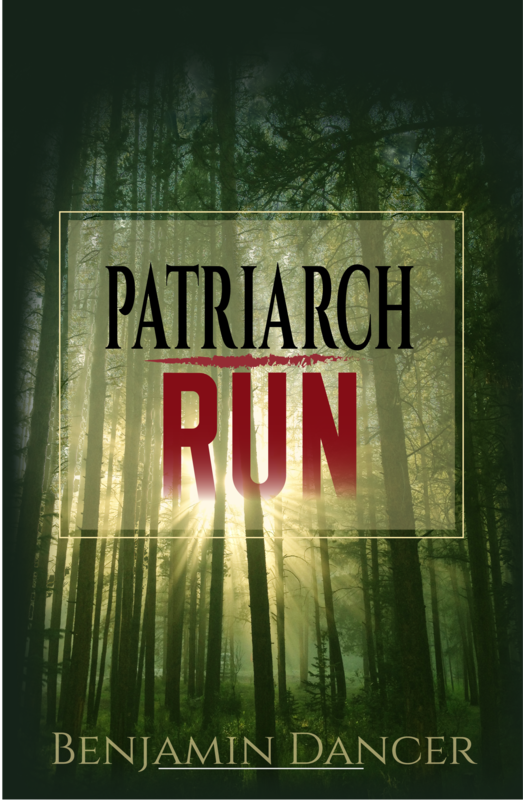 Amazon is running a 0.99 special on PATRIARCH RUN, and it's free with Kindle Unlimited. Now available through Kindle Unlimited! 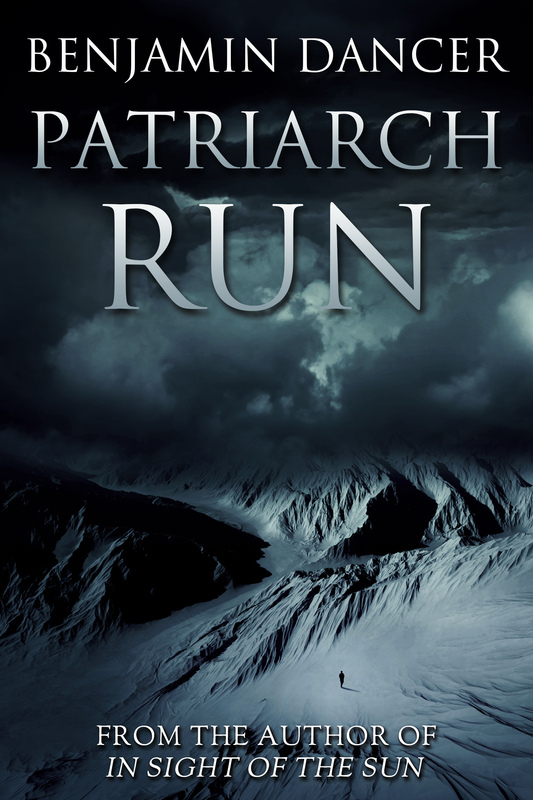 This is the last day of Amazon's free promotion of my #1 Best Seller PATRIARCH RUN. 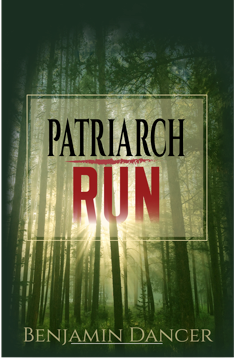 Amazon is promoting my #1 Best Seller PATRIARCH RUN as a free ebook today! Some good news, my novel PATRIARCH RUN hit the #1 Best Seller spot in two categories today: Action Adventure and Thriller. Amazon is running a promotion right now. The price is free! It'd do both of us some good if you'd take a moment to download the book. I appreciate your support. Jenny Shank’s The Ringer was published in 2011, but its themes are still quite familiar. The story gives us an intimate view of two families: Ed O’Fallon, a Denver police officer, shoots and kills Salvador Santillano, an emigrant from Mexico. The events of Ferguson, Missouri, dominate the news today, along with police shootings in New York City, Cleveland, Ohio, and Phoenix, Arizona. It is in this context that The Ringer offers insight, indeed, medicine for us today. The tragedy unfolds from two points of view. Ed coaches tee-ball and is motivated in his police work by a genuine desire to protect and make a difference in the community. Salvador, we learn after his death, is heroic in the sacrifices he makes in order to take care of his own. Because of the insightful lens through which we are guided through the narrative, we are able to understand each family, both of which are irrevocably changed by Ed’s decision to shoot Salvador. Ray, Salvador Santillano’s twelve year old son, is one of the greatest pitchers his coaches have ever seen. He plays baseball in the same league as the O’Fallon boys. As the plot unfolds, the two families are forced to confront one another when Ray is picked-up by the Z’s for the state and regional championships. Jesse O’Fallon, Ed’s son, is the catcher for that team. Although the two families are unlikely to ever understand one another, the reader is able to empathize with the unspeakable pain and confusion tearing at all parties. We see each of the major characters as deeply flawed, which makes them deeply human. The wounds created by racial division and the shooting are unlikely to be mended in the lives of these characters. Indeed, even the reader is torn by the conflicting loyalties presented by the plot. The Ringer is not an easy story to reconcile. Nevertheless, it changes us. We are changed by our ability to feel empathy for two enemies. Tonight I signed a book contract with Conundrum Press. They'll be publishing my literary thriller Patriarch Run. Vanilla ice cream all around at our house. Vanilla is how I roll. The backstory is that I put the novel on Amazon in April as a fundraiser for the Guest Writer Program at my school. The school coordinates with Lighthouse Writers Workshop to bring local authors into the classroom. The story got some good attention on Amazon and here, raised a bunch of money, and now it's time for the next step. The story is in the good hands now of some competent professionals. Benjamin Whitmer’s Cry Father is part outlaw, part longing and part philosophy. All of it packaged in an interesting story with compelling characters. Patterson has made plenty of poor choices in his life. His son is dead, and Patterson spends the present missing his boy, wishing he would have been a better father in the time he had. Some of the most touching scenes in the novel are the letters Patterson writes to Justin, his dead son. Not only is Patterson prone to making bad choices, he cannot stop himself from helping those in need. This proves to be a lethal blend. Most of the bad choices Patterson makes in Cry Father involve his addiction to his friendship with Junior, a younger man. Compared to Junior, Patterson seems wise and mature. That being said, no matter how bad Junior makes life for himself, the reader stays with him, largely because Junior expresses so much love for his young daughter. That and he exhibits an uncommon loyalty to Patterson. These two men burn down their lives: drugs, cartels, violence, and although their loyalty to each other is self-destructive, it is also quite compelling. The story explores longing: the longing for a father, for a son, for a companion. It is about men needing other men, and how amiss those relationships easily become. In this sense, it is a surprisingly sensitive story. Throughout the novel, runs a critique of contemporary society. A philosophy that states that life is better off the grid. A philosophy that values independence, self-reliance and that holds American systems of power and authority in contempt. Both Junior and Patterson carry a handgun in the caliber of .45 ACP. Patterson, being much older, carries a 1911. The younger, more impulsive Junior, a Glock. In Cry Father guns function as metaphors for the men who wield them. The 1911, an older firearm design, is equipped with both a grip and a thumb safety. Although Patterson is always armed, always ready, he is cautious and carries with him an old-school set of values. A Glock has no external safeties, and because of this, like Junior, the gun is quickly put to violence. There is a lesser character in the story: a coward, Chase carries a tiny mouse gun chambered in .380 ACP, a diminutive caliber compared to the .45. Whitmer draws no attention to this structure; it's there for those who see it. At the end of the story, there is no good guy. No hero. Cry Father is about men and their longing, the increasing distances they put between themselves and what they truly desire. My students walked out on me last week. Just got up, left my classroom and marched right out of the school. I’ve been an English teacher in Jefferson County, Colorado, for eighteen years and I’ve never seen anything like it. I know Julie Williams personally; she’s the School Board member who submitted the controversial proposal to create an additional curriculum review committee for our school district. Above is the opening paragraph of the article I published in the Humanist yesterday. The piece gives needed context to this national debate. Elizabeth Kolbert’s The Sixth Extinction: An Unnatural History is a walk down memory lane–that is, if you’re the planet. She takes the reader all over the globe, from Iceland to the Great Barrier Reef. Kolbert presents each chapter, in this journalist’s account of life departed, as a multi-facetted story, at the center of which is usually a quirky scientist. She gives us a sense of what it is like for these insatiable truth-seekers to be in the field (the Amazon jungle, One Tree Island, the Uplands of Scotland, etc.). The book is, at its core, a fascinating overview of the ground breaking research that continues to shape our understanding of who we are (evolutionarily speaking) and where we are going. Each chapter in Kolbert’s work shares a somber theme: extinction. We learn about the ancient ammonites and the more recent mastodons. We come to understand the competing theories regarding the asteroid that dispatched the dinosaurs, the economics that doomed the great auk, and we get to participate as Edgardo Griffith tries to understand why amphibians are disappearing from the biosphere. The title is a reference to the five great extinction events that have occurred in our planet’s history, and it suggests that the sixth extinction is being caused by humans and picking up steam. The book never gets preachy. It is always interesting. Kolbert presents a portfolio of extinctions, many of which are incontrovertibly human caused, and in the end, leaves it to us to draw our own conclusion about where the evidence leads. I was fascinated by the details: episodes in the life of Charles Darwin, the graffiti contemporary scientists leave at their field stations, the dark humor they share about our eventual fate, and the overwhelming diversity, or strangeness, of the flora and fauna which we call life. The Sixth Extinction provokes anxiety. I can’t remember a single mention of the word overpopulation in the text, but it kept occurring to me as I read: there are too many people. Too many people to live this haphazardly in such a finite biosphere. It’d be easy to mistakenly believe that in the age when humans existed alongside the Neanderthal our population was too small, our technology too primitive to have much of an impact on the broader ecological system. But we’d make that mistake only if we studied a few generations. After many generations of contact, the Neanderthals were wiped out. Looking at the event through the mathematics of continual downward pressure on the population, the Neanderthal was doomed upon our arrival. So were many other species. The advantages evolution gave humans allowed our ancestors to create agriculture and, in the 1940s, fertilizer. That technology has allowed our population in the last seventy years, or so, to spike from about 2 billion to about 7 billion people. If, by simply getting by, a few million humans could inadvertently wipe out multiple older, well-adapted species, what will be the effect of 7 billion humans living, in comparison to our ancestors, quite lavishly? I kept thinking of my most recent story, Patriarch Run, as I read The Sixth Extinction. In my story, the villain or hero, depending on how you view the dilemma, is obsessed with the exponential growth of the human population. Certain that humans are causing the sixth great extinction, he seeks to wipe out his own species, to reduce its population to what it was during the stone age. What I find interesting is the debate generated by the novel’s readers: many of them are horrified by the thought of killing so many innocent people; others see it as the lesser of two evils. For those willing to look, great forces have been set in motion, which means there are some big changes coming down the ecological pike. I think I wrote my story for the same reason Kolbert wrote hers: I’d prefer it if we paid attention, if we asked the hard questions. THE RECONSTRUCTIONIST by Nick Arvin is an engineer’s thoughtful unfolding of the mundane: through the author’s insight and remarkable attention to detail, the story makes the ordinary extraordinary. In a word, it’s a novel about accidents–an examination of choices the average reader takes for granted. After this story, a car will never look the same to me. As Boggs teaches the young Ellis Barstow how to reconstruct automobile accidents with an engineer's methodical calculations, the reader learns enough about the physical forces at play on the roadway along with the fragility of the human body, in the face of those forces, to hesitate before turning the ignition. Boggs also makes it clear that driving is a choice of great philosophical and moral import. A choice most of us take for granted. I think about this story every time I drive. And not just about the physical danger posed by the nearby semis and texting motorists, but I approach my car now with a curiosity and a wonder I didn't know before. My car has become a manifestation of something as mystical and as concrete as consequence. The story reminds us that we are not victims. That we are always making choices. Every time we choose to drive we open an algorithm of probabilities. Those probabilities are eventually actualized into the form of consequence, some of which we expect and some of which surprise us. It has been said by great thinkers that all there is, that all we are, that the only explanation to anything is simply that: consequence. Every action is final and followed by a perpetuity of unforeseen, unintended consequences. To turn my ignition switch is to remind myself of that. That I am consequence. That after me, consequence will continue on. The narrative becomes ironic when Ellis is confronted with the accident he creates for his own life. In the end, he loses a good friend, a hard to find treasure in this world, willingly exchanging that rare friendship for a miserable romance. The reader sees it coming, that accident, and is helpless to protect him. Are our own lives any different? Aren't they usually avoidable, the wrecks we make of ourselves and the ones we love? In this sense, the story is about responsibility. Although I cannot control the eventualities of all my choices, I can live my life more aware of the choices I am making. THEFT, by BK Loren, offers the reader several things. A good story. I found myself turning pages, frequently surprised by the way things panned out. The story also offers us an insightful point of view on humanity’s role in the ecosystem. The major characters, each in their own way, give their lives to the land–to something bigger than themselves. THEFT is a thoughtful narrative. The themes of the book, namely conservation, are controversial in our society, as the conversation often pits the needs of human beings against the needs of other species–such as the wolf. 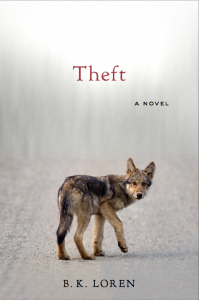 THEFT offers a meaningful contribution to the dialogue by suggesting that this framework might be a false dichotomy. The story suggests that without the wolf (that is to say, without the other species), the land cannot be well. And if the land, meaning the ecosystem, is not well, then neither can we be well. Above all, the story is about healing. The land, yes. But the brokenness that THEFT explores has a much wider lens. It is as if the broken nations, the broken families, the broken selves that are the subject of this narrative are but a symptom of a larger problem: things are out of balance. The endangered Mexican grey wolf represents that lack of balance. The protagonist, Willa, is desperately trying to save the species from being hunted to extinction. Willa also tries to save her own mother from Parkinson's disease, she tires to save her estranged brother–and, most importantly, she works to save herself. The environmental themes of the story are the setting for this larger event: Willa’s attempt to make sense of her traumatic childhood, of her shattered family, of her own need for connection to other human beings. In this sense, the story is resolved not once the fates of those she intended to rescue are settled, but when Willa finally embraces love–represented by Christina. Something, for good reason, she had been afraid of. I always liked this scene–maybe because it was the first scene I wrote for PATRIARCH RUN. Because the scene birthed the rest of the story, it's special to me. But it didn't make the final cut. When he came to, he shut his eyes to alleviate the nausea. The silence was ruptured by a horn blast. Jack opened his eyes and saw the white, fluted columns of a courthouse. Pedestrians on the sidewalk. His head was ponderous and difficult to turn. A man in a black suit–a briefcase in his lap–was sitting beside him. The vehicle they were in was at a stoplight in heavy traffic. His tongue was stuck to the roof of his mouth. It felt swollen and chalky, as if he had ingested a narcotic. He sucked his teeth but could not swallow. The mass of people huddled at the street corner began to cross the intersection. 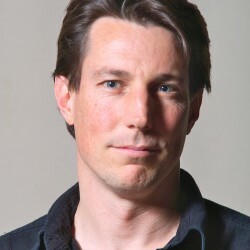 A pale-skinned man in a leather coat stayed behind. They made eye contact. The left side of Jack’s head pulsed so violently from the drug the vision in that eye went white. The SUV accelerated. Jack noticed the driver for the first time, the Ford Oval on the steering wheel. Then he bent forward and vomited between his knees. The man beside him in the backseat didn’t respond. His attention was drawn through the crowd at the next intersection to a man talking on a black phone. He tried to press his palm against the side of his head, but couldn’t. A white van slowed to a stop beside him. The driver of the van had the same black phone against his ear. Beads of sweat dripped from the driver’s nose; his jaw muscles were knotted. Jack leaned forward to get a better look. But the van’s door was now open, the driver gone. Compelled by decades of training, he shouted, “Bomb.” The warning resonated with an unemotional authority he did not anticipate or comprehend. The Ford he was in jumped forward, accelerating at full throttle into the heavy cross traffic. Tires screeched in the intersection. A white Civic swerved. He heard metal smashing metal. The Ford kept accelerating and punched the rear quarter panel of a blue Camry, pushed through the lanes and T-boned a silver Tahoe. He was coughing and tried to sit up–but couldn’t. He couldn’t move his arms. Hit his head on the steering wheel and lay his cheek on the leather-trimmed door panel, in too much pain to curse. He kept his eyes shut to stop the skewer of light from plunging into his brain. Bursts of automatic rifle fire punctuated the wailing and screams of terror. He allowed his right eye to squint–saw jagged glass in a window frame. He closed the eye. Slowly turned his head. Opened the eye again and saw black asphalt and shattered glass beneath him. The Ford was on its side. He put one knee on the asphalt, pressed his back against the roof and stooped, his feet in the broken-out window. His hands were bound behind his back. Eight rapid, semi-automatic pistol shots fired from close by were followed by the clinking of a steel magazine against the pavement. He heard the familiar snap of supersonic projectiles passing close to his head and saw in the roof three newly created pinholes of light. He dropped, curled up on the broken glass–still coughing. He couldn’t recall how it was he came to be in the vehicle. He didn’t know where the two men in suits had gone. When the automatic rifle fire ceased, he kicked out what remained of the windshield. He remembered the briefcase and squeezed into the backseat. The pistol shots were slower and more controlled than before. The combination briefcase was lying on the door. He used the sides of his feet to stand it upright between his ankles, dug his elbow into the leather-trimmed seat for balance, squatted–his hands behind his back–and picked it up. He threw himself into the front seat and stepped out the windshield. Civilians were calling for help. Others were crouching. A man prone on the asphalt, his hands shielding his head. From every direction came howls of pain. The air was black with smoke. Vehicles on fire. He found the driver of the Ford Expedition–bullet holes in his face, neck and chest. Gray ashes speckled his cheek and black suit. The Camry was upside down, on top of another sedan. The windows shattered, paint blackened, three of its tires ablaze like torches over the carnage. A man thrashed his arms: his hair, back and sleeves on fire. A teenage girl ran out from behind the barricade of an overturned Prius, knocked the burning man down and beat the flames with her cotton trench coat. Another rifle burst drove her to her belly. She lay on him, smothering the flames. He heard sirens. Everyone was coughing. By the time he located the source of the rifle fire through the black plumes of soot and smoke, the rifleman was dead, splayed over the yellow hood of a Dodge Charger. It was the man he saw on the phone at the intersection. He searched for the suit who was beside him in the Expedition. An old woman, face covered in blood, sat rocking on the curb, hugging her chest. Gray ash fell from the smoke. Another man crawled toward the sidewalk, coughing, dragging his right arm–a splintered, white bone protruding from his pant leg. He stepped forward to help the man then remembered the handcuffs on his wrists and looked around. The keys, he was certain, were in the locked briefcase he was holding behind his back. A fire truck, sounding its air horn, pressed through the clogged street. Then he found him–the man from the backseat–laying prone in a pool of blood beside the burning Tahoe, a Colt Commander in his hand. By the position of the slide, he knew there was another round in the chamber. The pistol’s thumb safety was off, the hammer cocked, the man’s right hand was wrapped around the grip, his index finger still on the trigger. He set the briefcase in the street and sat in a pool of the man’s blood. The blood was hot and soaked through his cotton pants. He eased the Colt out of the man’s hand. Stood, brought the weapon to his left side–where he could see the muzzle–held his breath to suppress the coughing and shot the brass lock on the briefcase. Then he sat down–his back to the briefcase–opened the latch, twisted his neck to look inside and squeezed his eyes against a pulse of white pain. The key hung against the interior wall. The man in the black suit was moaning. He rolled him over, unbuttoned the suit jacket, seized the bloody, silk shirt in both fists and pulled the shirt apart. Buttons sprung from their threads. The man was going to die. He pressed his bare hands against the wounds. Blood misted his face. Sirens. Howls filled the street. The inconsolable wail of a mother. He wiped the man’s blood from his eyes, tore strips of silk from the shirt, wadded the fabric and plugged the holes in the man’s chest. But the life–no matter how hard he pressed–welled up through his fingers. The cries for help grew more insistent with the arrival of the first emergency crews. The man in the suit was dead for minutes before he took his hands off his chest. He felt confused, stood and pushed a sticky palm into his temple. Barely visible through the sooty smoke, a uniformed officer, his weapon drawn, was making his way toward the Expedition. He pressed the magazine release, counted the two remaining .45 ACP cartridges, a third in the chamber. Four spent stainless-steel magazines lay in the blood. He slammed the nearly empty magazine home, put the Colt in his waistband, searched the dead man for spare magazines, for identification. Found nothing. He staggered away from the approaching officer, past the yellow Charger. The OGA had a red hole above his ear. An M4 carbine lay at his feet. The dizziness nearly overwhelmed him. Whoever the man in the black suit was, he had known what he was doing. Laying prone in a pool of his own blood, he shot through the Charger’s rear driver’s-side window. The bullet passed through the cabin, exited through the roof–near the passenger-side windshield pillar–and struck the rifleman in the head: a target not in the shooter’s field of vision. He staggered past the burning vehicles in which sat corpses–charred arms and grimacing faces–past emergency crews delivering aid to the shocked and bleeding, past ambulances and fire trucks, past approaching patrol cars and turned down the first street he came to. Check out what people are saying about PATRIARCH RUN!